A late Raul Garcia goal rescued a 1-1 draw for Atletico Madrid against city rivals Real in Tuesday's Spanish Supercopa first-leg encounter at the Bernabeu. The Atletico winger headed home in the 88th minute after James Rodriguez had come off the bench to put Real ahead with 10 minutes to go. Both sides had subsequent chances to score a winner, but they head to the Vicente Calderon for Friday's second leg on level terms. 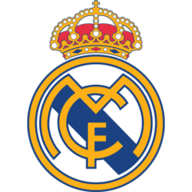 The game burst into life in the closing stages when World Cup Golden Ball winner Rodriguez, a summer signing from Monaco, poked home from close range after Atletico failed to clear a Daniel Carvajal cross in the 80th minute. 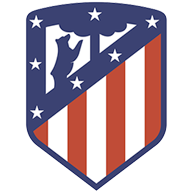 Koke sought to equalise straight from the restart but Real keeper Miguel Angel Moya tipped his long-range effort over the crossbar. Atletico did get an equaliser two minutes from time when Garcia rose highest to head home from a corner. Atletico midfielder Mario Suarez then appeared to handle Carvajal's shot in the penalty area but the referee waved play on before bringing the game to an end moments later. Watch Atletico entertain Real in the second leg of the Spanish Supercopa on Friday night, with coverage underway from 9.25pm on Sky Sports 5 HD.